Filing for divorce with your local court initiates the divorce process, but it does not mean that your marriage is officially dissolved. Instead, you must complete the divorce through the court system. In Georgia, courts can finalize your divorce in as little as a month if you and your spouse agree to the terms of your divorce, including property division, child custody and alimony. Generally, spouses who agree on these issues draft a settlement agreement for the court to adopt along with the divorce decree; this type of agreement speeds the divorce process. If you and your spouse do not agree on the terms of your divorce, the court may hold hearings and receive written arguments to decide outstanding issues. 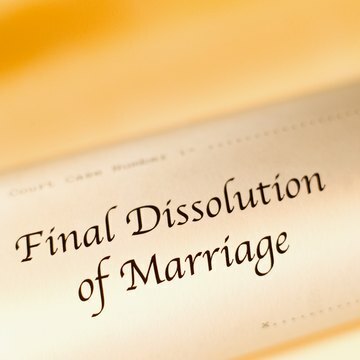 This delays your divorce since the court cannot grant a divorce until all disputed matters are resolved. When the court issues a written divorce decree, signed by the judge, your divorce is final and official. There is no waiting period in Georgia between when your divorce decree is signed and when you are officially divorced. How Long Is the Divorce Process in Alabama? Goolsby Law Firm, LLC: When Is Your Divorce Final? When you and your spouse sign a divorce agreement, the agreement itself becomes binding even though you aren't officially divorced. You aren't divorced until a hearing in front of a judge. The time between signing the agreement and the final divorce hearing varies among the states but usually takes less than two months.